Good morning one and all and welcome to your first B1G football season Skully of the year. Hopefully, pondering the awesomeness of the conference didn't make you click to your Better Homes and Gardens bookmark. 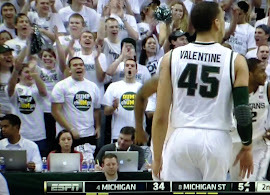 If you're still with me, you know there's a game tomorrow afternoon in East Lansing. If that was enough to hold your interest, then clearly you remember last year's 10-7 defeat to the Fightin' Dantonios in which your Ohio State Buckeyes played in what was without question the most lopsided three-point game in the history of organized sport. Having successfully erased that visual skid mark from my memory bank, I had to go back and read last year's Five Things to refresh myself on just how awful a game we were forced to watch. Nine sacks against Bollman's line. A yards per rush of 0.9. Cunningham torching Howard Island. It wasn't pretty. Remember to check Spartan Headline links, updated real time, at the bottom of the page - it's one-stop Spartan info from all of your favorite media sources and blogs. Is Perception Reality? Who Are the Spartans? The combination on O-line experience, a strong running game, a big play defense, raw talent at and quality special teams would be enough to compensate for the loss of Kirk Cousins and most all of the 2011 receiving corps. The receiving corps will surprise the critics and Benny Fowler will lead the way. The defense will create a game changing turn-overs with regularity. Nick Hill will be a force returning kicks. Whatever happens in 2012, 2013 is likely to bring better results. This is a junior dominated team. Just two seniors start on offense (one is out with injury and may medical red-shirt) while just tree seniors start on defense. The schedule lightens up in 2013 - the three Big Ten teams MSU misses next years are Ohio State, Wisconsin, Penn State. Dion Sims will be a mismatch nightmare and become a star. MSU should not burn the redshirts for receivers Burbridge and King. Since burning their red-shirts vs. CMU, they have hardly seen the field - and now the conference season and heavy weights await. The chUMps are over-rated. They are benefiting from a media that was ignoring a very favorable schedule in 2011. Many people somehow translated the recruiting hype from the 2012 class (this year's true freshman) and 2013 verbal "commitments" (kids still in high school right now) into victories for this year's team from Ann Arbor. 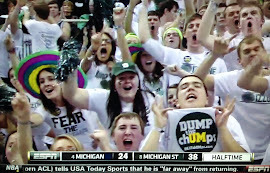 chUMps fans kept pointing out that MSU will have no offense with what the Spartans lost form 2011. I heard at least one Spartan fan say he thinks maybe they were right and our fans were drinking kool-aid to think otherwise. What do you think? The Golden Megaphone: Which team will play the loudest? Can you hear that, Spartan fans? It’s the echo-ey sound of the Golden Megaphone. That’s right, the trophy given to the winner of the Notre Dame/Michigan state game dating back to 1949 sponsored by the Detroit alumni clubs of each respective school. So before we break into this prime time showdown, let’s briefly recap last week. Let me start by tipping my cap to the MSU athletic department. Not only did they schedule an away game with a MAC school team, but also kept it within the state of Michigan without taking a penny from the gate ticket sales. Give credit to CMU for its first-ever pregame sellout (albeit there were a lot of green shirts), as the Spartans played their first game at Kelly/Shorts Stadium. In the end, the game brought $5.2 million (to the city of Mount Pleasant according to Central Michigan Life). Lastly, if you didn’t see the uniforms by CMU last week, one word: Awesome. Not gaudy or too flashy, just sleek jersey/pant combo with a flat matte-finish, dark helmet with a tapered stripe. 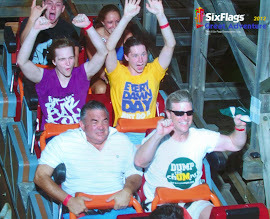 This post is simply one of the best main stream columns I have ever read on the Spartans. I must say that we can not call Wojo a chUMp even though he graduated from that place that shall not be named. He does not fit the definition (nor does my oldest son for that matter). East Lansing — It was life-changing, for sure. You can hear it in the way Mark Dantonio talks, in the perspective he says he gained. That incredible night two years ago, when Michigan State went from seemingly beaten to suddenly audacious to stunningly victorious over Notre Dame, ended with Dantonio in the hospital, recovering from a mild heart attack. And at the risk of overdoing the symbolic impact, I'll go ahead and say it: That game changed the program as much as it changed the coach. Before the Spartans beat the Irish, 34-31, in overtime on a fake field goal — holder Aaron Bates tossed a 29-yard touchdown pass to Charlie Gantt — that sent the Spartan Stadium crowd into delirium, no one was sure what Dantonio's Spartans were about. As compelling evidence has piled up, we know better. Michigan State football has become bold and bodacious, much more adept at withstanding adversity, whether it's a fourth-and-14 trick play in overtime, or a clogged vessel leading to the coach's heart. Before that victory, the Spartans were 1-13 against ranked opponents since 2005, and had gone... Go to full post. Spartan Magazine has been a favorite for years - front covers of the publication from 20 years ago still hang in my garage. SpartanMag.com just posted some great news. The Spartans only have a couple open slots available in their 2013 recruiting class. They will be hosting 7 2013 prospects and many others in the class of 2014. The one official visit will come from from the #1 (or #2 depending...) rated defensive tackle in the country - a player who also happens to go to Keith Mumphry's high school in Georgia. Keep radar on for Montravius Adams who also attended the Green and White game last spring. Lawrence Thomas Bull Dozer at Full Back - What a Concept! This use of former 5-star linebacker recruit turned defensive end is an example of one of the great attributes of Mark Dantonio - and a much under appreciated part of his skill set. He thinks about of the box. He finds the balance between the necessary conservative approach to being a head coach (staying grounded, as he puts it) and still being somewhat of a "riverboat gambler". The way he uses his players in a balance for the team's best interest and the player's best interest. He doesn't take the simple or easy way and pigeon hole them, which is easy to do with 105 guys on a team. He takes the best/most effective way even if it's more complicated or involves more moving parts or practice demands. This use of Lawrence Thomas is is awesome. I believe it will continue to help attract better and better recruits as the evidence piles up that playing for him is good for skill development and well as life skill development. MOUNT PLEASANT -- Lawrence Thomas disappeared from the Michigan State depth chart at defensive end in recent weeks and quietly made his college debut last week on special teams. But Saturday marked the redshirt freshman’s noticeable coming-out party, as he appeared at fullback and served on occasion as the lead blocker for Le’Veon Bell and even hauled in 7-yard catch. It’s all part of an experiment by coach Mark Dantonio, who resolved to get the 6-foot-3, 295-pounder on the field in some form. "L.T.’s a guy that obviously is a great football player," Dantonio said. "I really felt like we’ve got to get the guy going somewhere. He’s too good to not play -- whether that be tight end, whether that be fullback, whether that be defensive end." Thomas, who said he spent some time at fullback in high school, was able to spring Bell for good gains and seemed open to the position change. "He said as the weeks go on, he’s going to keep throwing stuff at me," Thomas said of Dantonio. Thomas was involved in an offseason auto accident and missed some time recovering from a concussion in preseason camp while battling for playing time among a stacked defensive end group that Dantonio said does not lack for depth. Michigan State has Denzel Drone available at defensive end again after switching back from tight end. At fullback, the Spartans use sophomore Niko Palazeti and Thomas as well now. "Even when he played on the defensive side, he had some pop to him," Bell said. "As a fullback, that’s all it is. You bring your hips, and have some pop to you ... He’ll be a playmaker for us." Said Dantonio: "You put a 280-pound fullback in there, and he moved some people." "What we have to do is practice him on both sides. We want him to be a dual player much like Tony Lippett was last year, so he’s not going to go entirely over there on offense. In my big scheme of things, I still think he’s a defensive player down the road, but we’ve got to get him playing football." I really don't care for for the scUM stuff or the angle of "they have kids in trouble and let them play". MSU will have a kid screw up at some point, although it has been a long time. My angle is simply that "There is No Michigan Difference". Maybe that will be the next t-shirt! Defensive end Clark and the running back both today. No no no, Hoke taught an unprecedented lesson in responsibility and accountability to his valiant Michigan Men student-athletes when he suspended two felons for 1 game. Yup, Rucker missed more time than Toussaint for the same offense, so I don't want to hear a peep from Ann Arbor if one of our kids makes a mistake sometime. Hoke is not a disciplinarian, that much is obvious, 8 arrests in 2 years and outside of Stonum, it's translated to 1 missed game for 2 guys. To see replies to this thread click read more below. Let me start by saying- breathe in, breath out. Repeat. Now pinch yourself… hard. I start my blog post like this because I’ve seen and heard fans, pundits, and experts with their reactions to MSU’s 17-13 win against Boise State. To some, the win was more monumental than Michigan State’s stout defense, upset win in 1998 over #1 nationally ranked Ohio State at the Horseshoe. It wasn’t that. Still, others saw an offensive debacle similar to 2006’s meltdown against Notre Dame, riddled with blocking breakdowns, receiver-dropped passes and several untimely turnovers. It wasn’t that either. So what was MSU’s first game of the 2012 season? Let’s break it down. Michigan State’s game plan was simple. Run, Run, Pass, Score, Win. By those objectives, they were fairly successful. What people didn’t expect was a running assault that was started, maintained and anchored by Le’Veon Bell. 44 carries for 210 yards and 2 TDs is certainly a great start. Just to give you an idea of how that ranks, in 1985, Lorenzo White averaged 33 touches a game. Two years later in 1987, White averaged 28 plays from scrimmage. To give a more recent example, look at Javon Ringer’s 2008 performance averaging 35 touches per game. In my (post) Olympic spirit, did you see Le’Veon Bell’s hurdle over that guy? Despite a strong rushing attack by Bell (averaging nearly 5 yards per carry), the passing game struggled… sort of. Andrew Maxwell looked a little bit off on his throws, throwing 3 interceptions, although 2 of those being deflected from MSU receiver’s hands and another turnover coming off a receiver’s fumble. To all the skeptics, let’s take a look at his other numbers. Maxwell still went 22-38 and threw for 248 yards, having not surrendered a single sack. What helped a less-than-stellar performance from Spartan receivers was more than half of his completions came from RB Le’Veon Bell and TE Dion Sims. Sims led all receivers with 8 catches for 65 yards including a crucial 18 yard reception on a 3rd down on 25 yard line en route to the game winning score. It’s worth mentioning that the most important part of that play (excluding a great throw and catch) was Bell’s backside block picking up a weak-side blitz. Question: MSU played pretty well on the defensive side which will certainly keep them in a lot of games this year. What is the #1 biggest question for you with MSU's offense? Answer: Right now, it's Maxwell and his ability to create better timing with his receivers and tight ends. 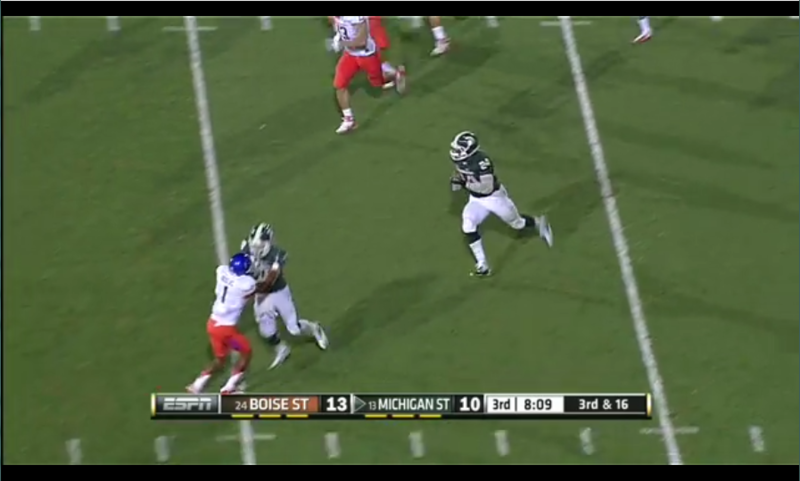 I liked the way Michigan State got both Dion Sims and Le'Veon Bell involved in the pass game. But Maxwell has to put better touch on his passes and establish a couple of reliable options on the outside. I actually think the Boise State game could turn out great for him, because he was able to build off some struggled in a game MSU still won. This one is much easier. 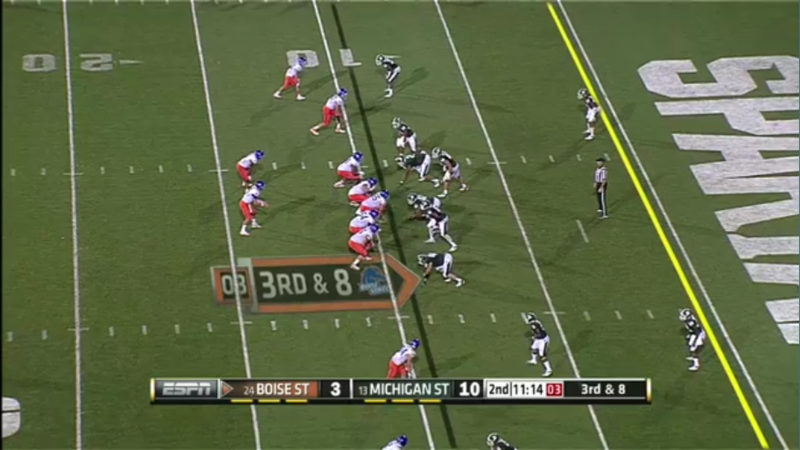 MSU held Boise State’s offense to just 13 points. This is a team that scored 30 points or more in every single game last season and scored more than 40 points in 8 games. 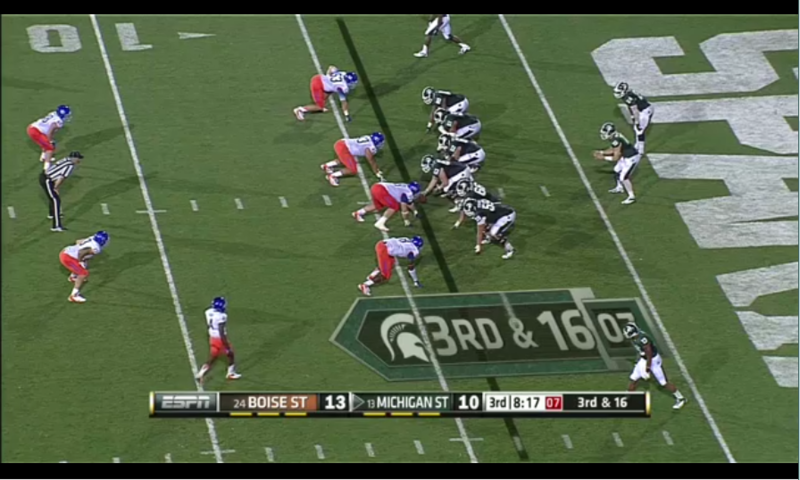 So let me say that again, MSU held Boise State to just 13 points! The also pushed their way around, limiting the Broncos to a measly 5-14 on 3rd downs, 37 yards rushing while giving up 169 passing yards. Did I mention a great endzone interception, a fumble recovery and a turnover on downs? This squad has yet to surrender a TD. Look for the “Chips” to be fired up for first time meeting at Kelly/Shorts Stadium. Sadly, it will be as fulfilling for CMU students as a visit to the Soaring Eagle Casino aka “Snoring Beagle.” MSU has won 4 out of 5 games. I say that last stat for one “sick” reason, a 2009 illness MSU caught called “LeFevour.” 2009 CMU Quarterback Dan LeFevour (who had 150 career TDs) upset MSU at Spartan Stadium. NOOOOOOOT SO FAST, MY FRIEND. CMU coach and former Spartan quarterback, Dan Enos will hope their continue their tandem running attack Zurlon Tipton and Anthony Garland, who both rushed for over 100 yards each last week. They’ll need to improve the play of quarterback Ryan Radcliff, who went completed just 14-of-23 attempts for 171 yards and a touchdown, with an interception last week. Also expect a big game from Sophomore LB Justin Cherocci who had 15 tackles last week. Despite the Chippewa’s first-ever pre-game sellout, I don’t expect they will make it close. The offense stepped onto the field friday night for it’s first series. There’s a good chance the poor kids in Africa who get all of the Buffalo Bills Super Bowl championship t-shirts from the 90s knew that MSU was going to hand off to Le’Veon Bell on the first play. So MSU lining up in the I formation should be expected, right? RIGHT? MSU lines up in the I Formation and Roushar tosses in his first wrinkle of the season on the very first play. Yes, that’s right. Larry Caper was lined up as the fullback. Boise doesn’t appear to react at all. There’s really no reason for them to, after all the I formation is still the I formation and Bell is still getting the ball. The ball snaps and Caper goes out to get his block on this HB sweep. Caper gets popped here. While he doesn’t lay waste to second level linebackers like an Offensive Lineman would, he does manage to take a potential Bell tackler out of the play at the Line of Scrimmage, which allows Bell to pick up four on this play. The strange thing is that one of the things I’ve learned from rewatching Friday night’s game is that Palazeti is a definite upgrade from previous years in the run blocking game at Fullback. He routinely took his guy out of the play all night long. So why even bother with this wrinkle? Notice how much farther back Caper is lined up in this instance? He’s almost an extra yard back, which doesn’t seem like much, but it might be enough to telegraph the upcoming “FB handoff”. Caper gets the handoff and start his off-tackle run. The linebacker who is correctly crapping his pants everytime Bell touches the ball tonight, freezes when he realizes Bell doesn’t have the ball and that Caper in fact has the handoff. 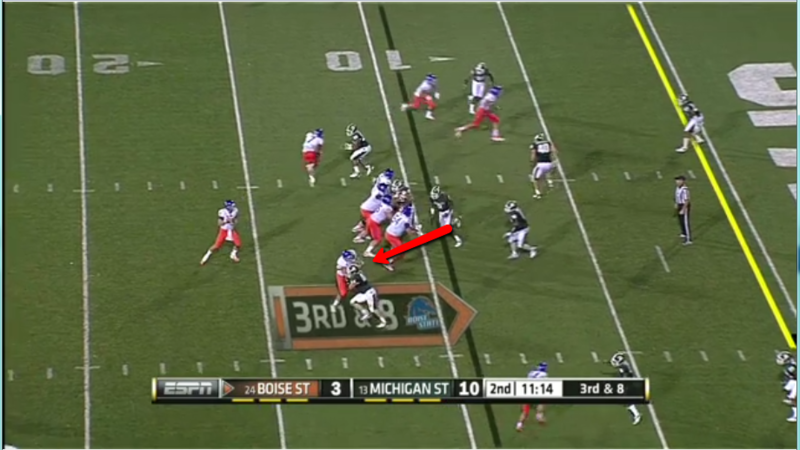 MSU has handed off to the Fullback probably less than two dozen times since Dantonio came to town, so it doesn’t surprise me that Boise would ignore the notion that MSU might have handed off here. But by now Caper is already out to the same level as the linebacker and appears to have a hole the size of Rhode Island to run through. Sims is already engaged with a second level blocker and Caper looks almost assured to pick up the first down. Caper cuts inside instead of outside. Just outside of the frame to the upper left of where it says “Wide Open Spaces” lurks a deep safety who is probably just waiting for Maxwell to drop the hammer on playaction. So the space is open for now, but cutting outside isn’t the obvious good I thought it would be when I screencapped the play. So to answer my own rhetorical question, you bring Caper in as the “fullback” so he can take an unexpected handoff later in the game and pick up some needed yards. This is the kind of Rousharian quirk that’ll get you some extra needed yards out of this run formation when you really need them. By having Bell and Caper(both capable receivers) in the backfield the potential to move into a 5 WR set is there, the potential to motion Sims(Dion) back as an H-Back into a heavy run formation is there. This ties strongly back into Roushar’s shared tendency with Scott Linehan to line up in a typically strong run formation and switch to a pass play or vice versa. Or maybe it’s just a quirk MSU played with once and we’ll never see again. You just never can tell. 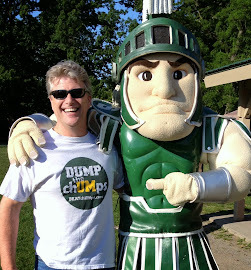 Go Green - Drive for five! 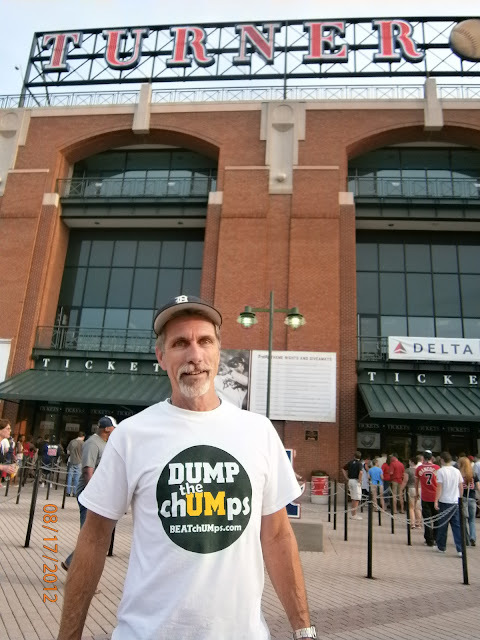 Jamie Samuelsen, co-host of the “Jamie and Wojo” show at 6 p.m. weekdays on WXYT-FM (97.1), blogs for freep.com. His opinions do not necessarily reflect those of the Detroit Free Press nor its writers. You can reach him at jamsam22@gmail.com, follow him on Twitter@jamiesamuelsen and read more of his opinions atfreep.com/jamie. How big of a deal is the Michigan State-Michigan Twitter situation that popped up last weekend? How should Mark Dantonio handle it? The Michigan-Michigan State rivalry is nastier than it’s ever been. There’s no debate about that. If you haven’t been paying attention for the last four years, let me bring you up to speed. 1) Michigan can’t stand the fact that Michigan State has passed them in football. 2) Michigan State fans can’t stand the fact that Michigan won’t admit the fact that Michigan State has passed them in football. And that pretty much sums it up. Oh sure, there have been some other flare-ups along the way. It didn’t help that Michigan lost to MSU last season, didn’t win its division, and yet earned a berth to a BCS bowl. And it didn’t help that Michigan won the last two recruiting battles, causing the Old Blues to proclaim that MSU’s brief run of dominance was soon coming to an end, even though nothing has happened on the field to underscore that point. Michigan State is on top. Michigan is looking up at the Spartans. That’s a fact. Now, Michigan State needs to start acting like it. Obsessing about Michigan doesn’t help the cause. Trying to take away from some of the things Michigan has done doesn’t help the cause. And gloating about an ugly Michigan loss on Twitter definitely doesn’t help the cause. In fact, it makes Michigan State look cheap. It makes them look less than they are. If you’re on top and you’re looking down, why should you care what one of the teams under you is doing? But they do. At least some of them do. Same for Jamal Lyles — “I can play quarterback for the school in blue. (Le’Veon Bell) for heisman > the other guy in the great state of michigan." That doesn’t speak for the whole team or the whole school. It certainly doesn’t speak for head coach Mark Dantonio, who angrily addressed the issue Tuesday at his weekly press conference. Some of the tweets were taken down. And I’m sure that some Michigan players have gone to Twitter over the years. In fact let’s not forget that it was Mike Hart’s infamous “little brother” comment that ignited this rivalry to the level it’s at today. If Hart can talk down to a rival, Michigan State is entitled to do the same. But they shouldn’t. It’s unnecessary. But more than that, it simply fuels the idea that Michigan State is so obsessed with Michigan that they can’t see straight. The Spartans scored a nice win over nationally ranked Boise State on Friday night. Why should it matter what Michigan is doing on Saturday night? The two programs are rivals, and they always will be. But in the course of any rivalry, one school will rise up and another will fall. Michigan State has risen up. And this season should be a continuation of that trend. The Spartans have done the hard part in getting to this level. Now comes the easy part — acting like it. To view other reader comments go to the freep site or click on "read more" below to read as part of the blog post. This post appeared on The Only Colors Blog - by a guest author from Shaw Lane Spartans. I love this stuff. Be sure to check out the dude in the DUMP the chUMps shirt on the previous post (earlier today). Hello everyone. My name is Jim and I write over at Shaw Lane Spartans. I, like you, suffer a tremendously enjoyable addiction to Spartan sports, more particularly Spartan football. Chris and I talked over the summer about doing a write-up of key plays from the previous game for The Only Colors this fall. This is the first installment in what should be a twelve, thirteen fourteen part series. Yep, I just predicted a Big Ten title game return in my introductory paragraph. 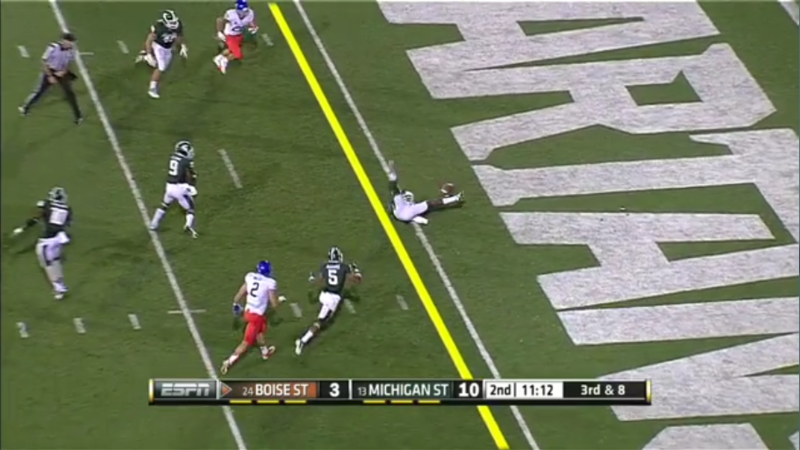 The story of the Boise State - MSU game has been told by now statistically and in narrative. From here on out I summon my greatest Diet Heck impersonation and breakdown key plays which either directly changed the game or described a playcalling trend which contributed to the outcome of the game. An example of the latter would be breaking down why Nebraska was able to rush 58 times in 2011 and keep the chains moving. While no one play was spectacular there was a general trend of Nebraska cramming the ball down MSU's throat which was awkward and led to the consumption of much beer in a short timeframe. How nice that this also happens to be one of our plays today. 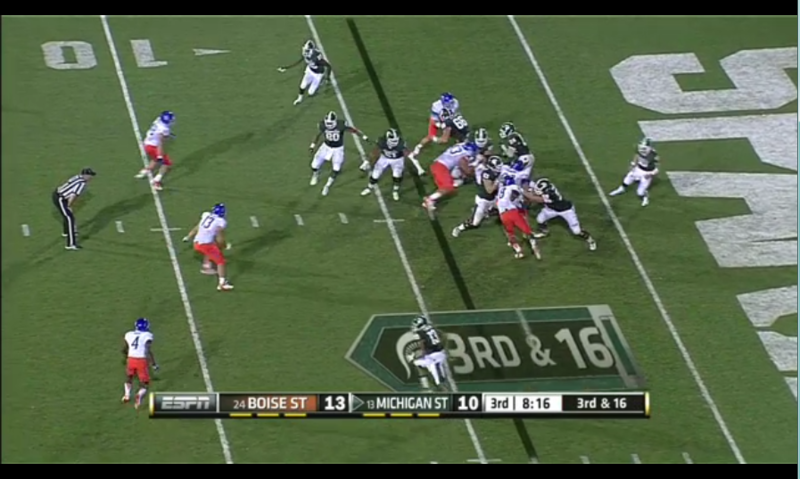 This play was important because it obviously prevented Boise from scoring a touchdown, but it also contributed to the Key Fact of last Friday evening: MSU held Boise to their first game without an offensive touchdown since 1997. MSU lines up in their Delta package. Gholston, Calhoun and Marcus Rush are the three down linemen. Allen, Bullough and Norman are your three linebackers. Adams, Dennard, Lewis are your CBs. Jairus Jones and RJ Williamson are your safeties. 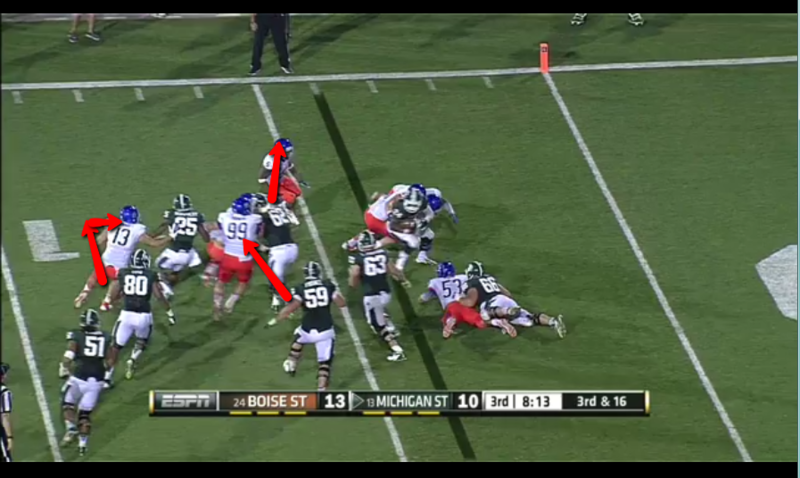 The ball snaps, Rush and Calhoun are across the line of scrimmage before the ball even gets to Southwick's hands. Calhoun is already up out of his stance before the ball has left the center's hand. Perhaps the twitch of Worthy is haunting Calhoun. Allen and Gholston also come on the pressure, but despite this looking like a Pat Narduzzi blitz sandwich it is in fact just a four man rush. 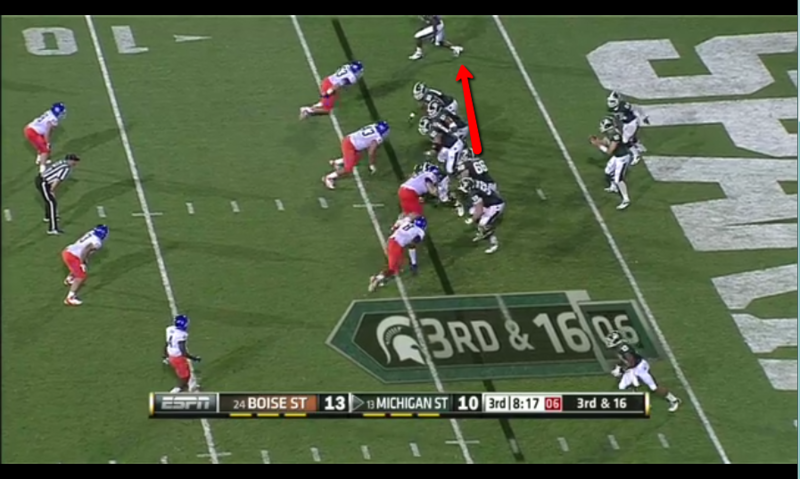 Bullough slides to the right to cover the short curl out of the left slot receiver and/or pass to the flat. Norman plays spy making sure Southwick doesn't get happy feet to the endzone. While Calhoun is single-handedly tying up the interior of the Offensive Line Gholston comes through on a stunt. More importantly all of the short and intermediate routes are covered right now except for the slot guy to Southwick's left who he's not really looking for right now. 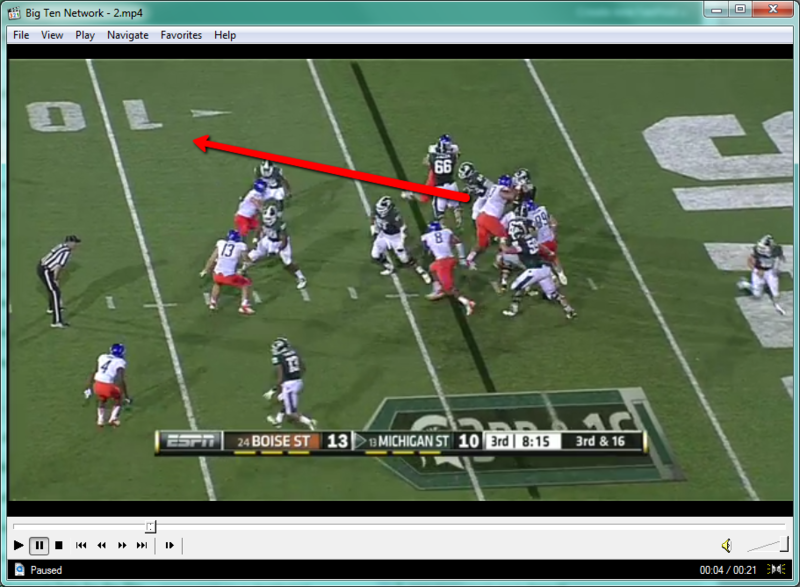 From what I can tell Southwick is targeting number 34 on this play, even though that guy is undoubtedly covered. There's another receiver who's unfortunately offscreen, but he's also offscreen because he's nowhere near where Southwick is rearing back to throw to. Norman knowing it's a pass is making moves to get into the passing lane. The ball gets tipped by the two(2!) Spartans covering the slot guy on the right. It's hard to tell for certain but if Lewis doesn't tip the ball it looks like it might hit Williamson straight in the chest. Either way this throw appears to be the product of Southwick crapping his pants about the inbound pass rush. No one was even far enough downfield to catch a pass in the endzone yet and any safety valve throw wasn't open yet. Williamson makes a beautiful grab to keep the ball from hitting the turf. Maybe a little lucky, but certainly a purdy grab. It's the middle of the third quarter and MSU opened the second half by missing a 42 yard field goal at the end of their first drive. Everyone is starting to get that feeling in their bellies, you know the one I'm talking about. Thanks John L, I could have lived a lifetime without knowing that feeling. 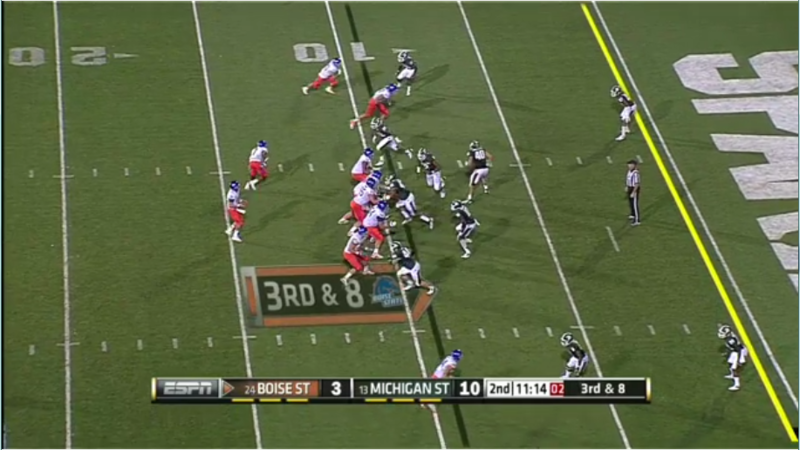 Anyhow, MSU gets the ball on their own 10 and Le'Veon gets dropped for six yards on first down setting up 2nd and 16. The pass goes incomplete and now it's 3rd and 16. There's only one thing you do on 3rd and 16 inside your own 20, run a screen pass(you just had a pick six on a screen earlier in the game). Run right and hope some things break your way. MSU lines up in a 3WR Shotgun, 1 TE set. Bell is to the right of Maxwell. The ball snaps and two things happen. 1.) MSU barely even fakes like they're going to pass. Maxwell brings the ball up just long enough to flashfreeze in the QB position. 2.) LG Jack Allen pulls and takes off for the right side of the line to fill the spot vacated by Fonoti and stop the inbound defensive end. If Maxwell holds on to the ball just a hair longer, Allen has more time to get to the Defensive End before he's in a position to stop the run. This is the part where Bell should be looking to blow it up through the right side of the chasm of running space that's been created for him at the second level. But Jackson and McDonald are also getting pushed back into the play. Bell runs into a herd of Broncos and this play is pretty much over. Except that Le'Veon Bell is a man playing a boy's game. And he'd like to remind you of that after hitting his "spin button". In an even more fortunate twist, the entire defense has flowed to the right of the field and Bell's quick spin has unintentionally created a wall of blockers for him to cutback. Bell cuts back and has daylight for about 15 yards. Bell gets downfield and Maxwell throws a block for him. Your QB throwing blocks downfield is always dangerous ground to tread. The meat-eating, beer-drinking football fan in me loves to see the QB dish it out whenever he gets a chance. But if you think our offense is shaky right now a Maxwell-less offense is flat frightening. 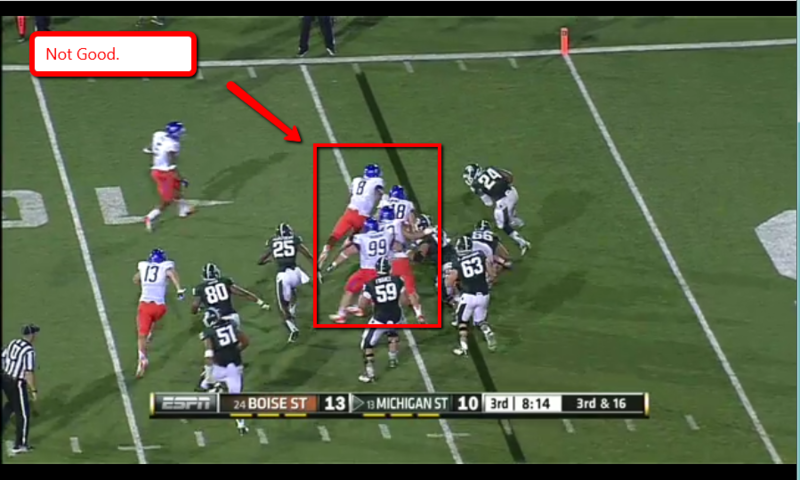 In this case good on Maxwell for pasting that poor BSU dude out of the play. The play ended up going for 35 and the drive ended with a fumble, which like ARRRRGH. But if there was a single play that defined the way Bell put the team on his back. This was it. This play was broken, it's going all-in on a pair of twos and getting twos on the Turn and the River. Somehow, beyond all odds it worked. 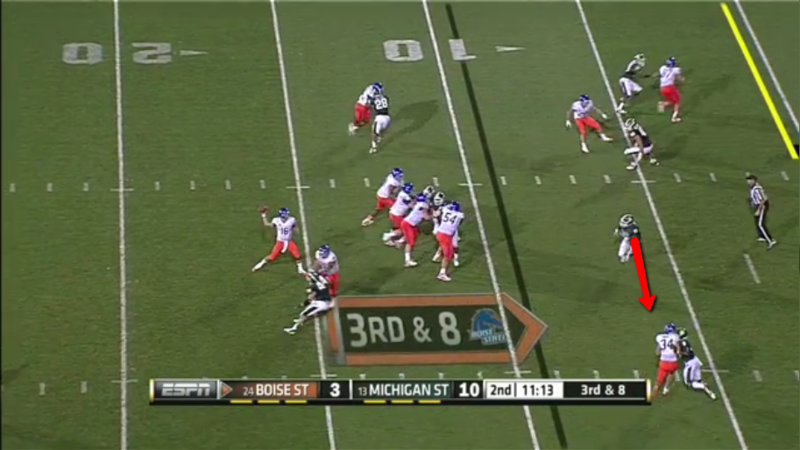 - The play where the defense sniffed out Boise's intention to run back-to-back trick plays. 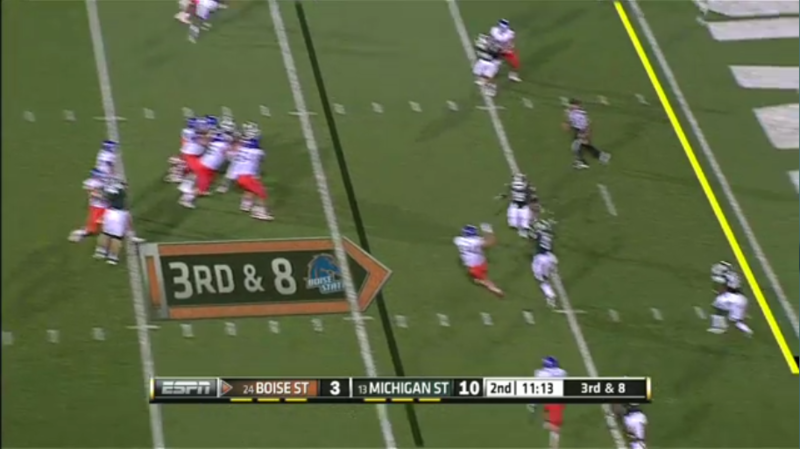 - Darqueze Dennard holding up when Boise State sent the house at him late in the fourth quarter. - The Boise State cheerleader who got up laughing after getting bowled over by two football players. She appears to be completely ok. Please hit me with suggestions, comments, abuse in the comments. Thanks for reading and we'll do this again next week! Catch me near the Munn parking lot a few hours prior to the Notre Dame night game and I'll have a limited number available for $5.00 each. You can also send me an email ( BEATchUMps@gmail.com ) to make an arrangement for me to ship to you at $8.00 each or buy through Ebay to the right. 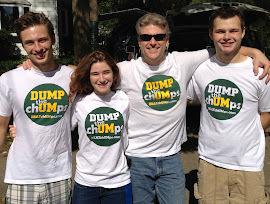 I usually toss in a DUMP the chUMps button for multiple shirt orders. Order now and you could be like this guy when you grow up! He looks like everyone's favorite uncle doesn't he? He sure aint no little brother! Mine is the last response. Am I the only one who found encouragement from the how the game went Friday? I haven't spoken to any Sparty's since the game... Are MSU fans content with the results of the game Friday night? Not trying to be condescending, just wondering. I was on my way Up North & only got to see the 4th quarter. I was surprised they were down at the end of the 3rd. Yes. We won the game. Can anyone else please provide a more elaborate answer? I know it may be difficult to expound on LeRoy's provocative response, buuuut... give it a shot. ill lay it on you, no were not content with that game and the overall performance. What matters is they came out with the win and the defense gave up less yards overall than bell had by himself. its probably safe to say the offense will get better each week and if the defense shows up every week, I'm not going to be too concerned with U of M or OSU, and looking at Wisconsin did in week one they don't look too menacing either. I think State needs some growth at QB and WR, but we knew that going into this game. There was one dumb throw that cost MSU 7 point. There was one flukish INT that cost MSU 3 points. There was one big play that cost MSU another 3. Overall, defense looked good against a complex, "multiple" offense. MSU could have pounded the rock all night and the final would have been 24-3, but Treadwell knows MSU needs to have Maxwell get some meaningful experience so Bell does not wear down later this year. Survive and improve. We'll know more by the end of ND. no - not happy. lots of areas for improvement, and not a lot of time. Its all fixable though. Next week we should see better decision making; the timing with receivers will get there in a few weeks. Kiel Vedrode - I'll give it a shot. The reasons to be concerned - lack of separation and completing a play for receivers, O-line not as strong as advertised and too many key penalties in game one. Reasons to be encouraged - The team what we all said it would be early on. The need to rely on Bell and Sims and a suffocating defense and good special teams. Bell Big Ten O-player of the week, Sims crucial third down grabs and obvious mismatch. Defense allowed no TDs (one was a pick six) and both FGs came off very short drives due to turnovers. RS-F Williamson makes ESPN play #3 with interception. Hit 50-yard FG. On the turn-overs, see receivers - one was a perfect strike, in stride after Maxwell was 4 of 4 or 5 of 5 to start the game that Lippett lost control of in to a DBs hands. Lippett is good - that will be corrected. The second bounced off Caper's hands who is normally sure handed - correctable. The third was ugly, but unknown if receiver ran wrong angle on the slant or Maxwell pressed being down due to previous turn-overs. He still hit on 60% of his passes even with more drops. That will get better as receivers lose touches if they do not secure the ball before running. O-line takes longest to gel (see 2011). All in all - I'm OK. I think there is far more evidence that MSU will fulfill expectations than evidence to the contrary. Rushing and defense with help from the TE won the game and Maxwell was serviceable for a first start. Exactly as scripted - yet gave coaches a ton to work on and keep the players humble - then they will also get hammered for the stupid twitter comments.